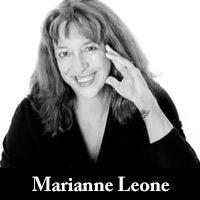 Marianne Leone’s essay “The Official Story” is a Featured Nonfiction piece in the fall issue. She is an actress, screenwriter, and essayist. Her essays and op-ed pieces have appeared in the Boston Globe, The Bark magazine, and WBUR’s Cognoscenti blog. She had a recurring role on HBO’s The Sopranos and has appeared in films by John Sayles, Martin Scorsese, Nancy Savoca, Michael Corrente, Larry David, and the Farrelly Brothers. She is married to the actor Chris Cooper. Her memoir, Jesse:A Mother’s Story (Simon & Schuster) is a chronicle of the remarkable life and untimely death of her child who died suddenly at age seventeen. His life is celebrated through the Jesse Cooper Give Back to Society Scholarship, the Jesse Advocacy Fund at the Federation for Children with Special Needs, and the Jesse Ho, an outrigger named for him at AccesSportAmerica, a charity supported by the Jesse Cooper Foundation. Your opening line for The Official Story immediately drew me in: “The young girl crouches, listening to the men decide her fate.” How did you decide to make this the first line? And what’s typically harder for you in writing–beginnings or endings? My mother never read a book, as far as I know. So the stories she told me were the ones from her own life. “The official story” about coming to America always reminded me of a fairy tale. When I wrote the essay, I thought I would begin it in the language and setting of a tale told in another time and place, one that seemed almost mythical. Beginnings are harder for me; I’ve often had false starts. If the writing is going well and I’m happy with the essay, the endings feel organic. “And like all immigrant stories, its not the whole story, and it’s only partly true.” This strikes me as a universal truth, but can you say more? Why are immigrant stories never fully “true”? I think one of the great benefits of being immersed in an entirely new environment is the freedom to reinvent oneself. I remember how happy I was to go to UMass/Boston and leave behind the intellectual repression of my parochial school and my self-identification there as a misfit. Even though Boston was only seven miles from Nonantum, Mass., college was a universe away and allowed me to become a different, truer version of myself. I think the same held true for my mother. We can never really imagine our parents’ lives before they became our parents because as children we think they revolve around our sun-selves. 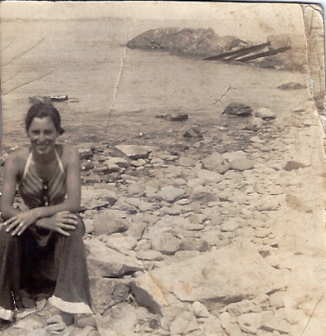 As someone from another country that might as well have been another planet, my mother was even more of a mystery than my friends’ parents or the ones I saw on television. She was able to shape shift, to reveal only what she wanted about herself, but she also came from a culture that was so different from “wonder years” America that she appeared even more strange and incomprehensible to me, her American child. In a sense my mother will always be sphinx-like because of her foreign upbringing. You create such strong characters in the likes of your Aunt Ellie and your mom. How do you recall such wonderful details? Is it all memory? Or do you keep a journal? I have kept journals in the past, and I had one for the first few years after I gave birth to my son and also during the battle to get him his basic civil rights, i.e., an inclusive education, and this helped a lot during the writing of Jesse: A Mother’s Story. I didn’t have a journal for “The Official Story,” but those long-ago events seem to be indelible. Ellie was so colorful, I can remember word for word a lot of her conversations even now. We wrote long letters, too, during my years in New York and I have them all. One of her lines even made it into my friend Nancy Savoca’s film True Love! And my mother remains the stuff of legend to my friends who still quote and tell stories about her today. How did The Official Story evolve? How long did it take you from first draft through revision? I had been thinking about writing this essay for a long time, so the actual writing time was short, about a month. This essay is the beginning of a book of essays about my mother. “Ma Picks A Priest” will be published in Post Road Magazine next spring. Can you talk about your writing process in general. Do you have certain rituals? Do you try to write daily – or only when the mood strikes? I don’t do many rewrites. I tend to let it roil until it erupts onto the page in a torrent of words. Then I edit. I write daily when I am in this stage. When writing a longer piece, the process is slow at the beginning and picks up speed somewhere after the middle, something like the whoosh you feel after cresting the peak on a roller coaster. I don’t do ritual (twelve years in Catholic school took care of that.) I do let off steam when the writing isn’t going well. I wrote a chapter about wildly hacking phragmites, the reeds that grow on the edge of the marsh behind our house, during the writing of Jesse. Weed whacking is satisfying in a visceral, howl-at-the-moon kind of way when the words won’t come. I think it’s a form of conjuring. You are also an actress and you played the mother of the character Chris on The Sopranos, correct? (You knew I had to ask one Sopranos-related question, right?). Can you share one quirky tidbit about working on the show? I loved working on that show. The writing was superb and I had worked with a lot of the actors before: Aida Turturro and Vinnie Pastore in True Love, Michael Imperioli in Household Saints, Frank Vincent in Mortal Thoughts. Weirdly, when we lived in Hoboken, the house we rented was owned by James Gandolfini’s father. This was before The Sopranos. I told his father that my husband and I were actors. He said, “Yeah, my son wants to be an actor but he’ll never get anywhere.” I saw him later at one of the premieres and reminded him of that! 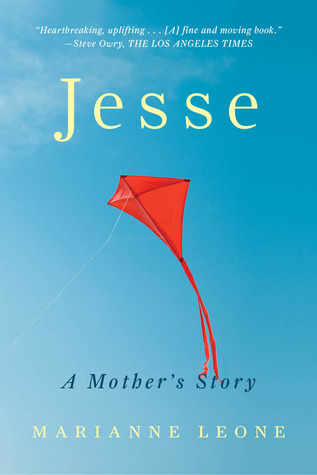 I recently finished your wonderful memoir Jesse, A Mother’s Story. You tackle what is such a painful subject for a mother—losing a child—with such grace and, surprisingly, wit. I love your voice. Two questions here: where do you think you get your sense of humor? And how did the process of writing this book differ from writing essays? Was it cathartic in any way? Thank you so much. I’m glad it resonated with you. I get my humor from my mother, who had a dark, dark take on the world, and from my aunt, who was lighter in spirit but no less funny. I wanted to honor my son’s sense of humor in the book. He was always the first at the table to get the joke. This book began as an essay I wrote for The Boston Globe three months after Jesse died. I read Three Dog Life, a wonderful memoir by Abigail Thomas, and I saw that it was possible to write about tragedy and still retain humor. I also saw that she wrote in a nonlinear style and that felt right to me because memory is nonlinear. My book is nonlinear except for the part that describes the school fight to have Jesse included, which had to be expressed in a timeline. It was easier for me to approach the daunting task of writing a long prose piece by telling myself that I was writing a series of essays. I found that reading CS Lewis’ A Grief Observed and the writings of Mark Twain, Robert Frost, Isabel Allende and many other parents who lost children compiled in a wonderful anthology called A Broken Heart Still Beats, edited by Anne McCracken and Mary Semel, to be helpful. “Catharsis means “the purging of emotions.’’ But Jesse hasn’t been disappeared from my life, Soviet-style. His memory is with me always, and sometimes it makes me cry because I miss him so much, because it hurts to see his friends becoming fine men when he didn’t get the chance, because I want to hold him with a longing that is visceral, even after he’s five years gone. My mother grew up in the Abruzzo region of Italy, where the inhabitants of that old culture have experienced war, earthquakes, famine. They are not afraid to acknowledge death and the sadness that follows; a folk song about death is called “scura mai’’ — you have left me dark. They’re not afraid to represent the archetypical mother, Mary, with seven swords in her heart after the death of her Son. What are we afraid of here in the United States? Since Jesse died, I have felt joy. I have even laughed until tears came to my eyes. I have written a book and essays, I have acted on television and in film, I have hosted huge family parties.